Days after the handover to Renfrew Council, Johnstone Town Hall was named ‘Development of the Year (Public Buildings)’ at the Scottish Property Awards. Built by BAM Construction Scotland, the building, with its combination of a striking glass façade, deep public atrium and high quality stone finishes, stands out from the surrounding buildings in Ludovic Square. 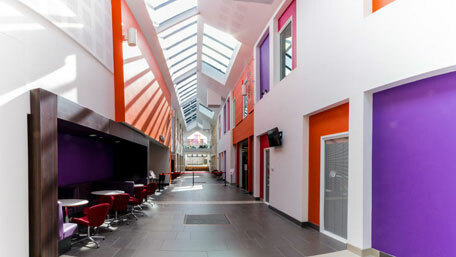 It was designed as a catalyst for a wider regeneration programme for the town. It creates a new model for the delivery of community services with the public library, theatre, marriage suite, conference room and café sitting alongside staff from the council’s housing and social services departments, AdviceWorks, Police Scotland and MacMillan Cancer Support. In this respect it is an extraordinary building inside and out. The new Town Hall, which opened to the public at the end of March, was project managed by Hub West Scotland, the public private joint venture development organisation designed to deliver the most efficient and value for money buildings in Scotland. 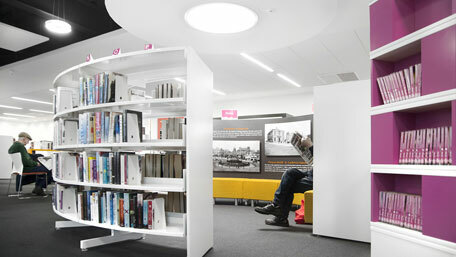 The Design Concept was instrumental in the design of the library, together with the flooring, lighting and graphics to ensure the delivery of a cohesive design. The company worked closely with the architects Miller Holmes and members of the library staff to to meet the library brief. BAM delivers the 'Development of the Year'. Image gallery on thedesignconcept website.